The new year has arrived and so have new trends in the fashion world. So all you fashion conscious people, let’s take a look at what’s hot this season as you get ready for the new year . This season, red and white are the most perfect combination to show off your devilish and angelic side. Black’s evergreen and this is the best time to get out the little black dresses and designer net sarees for the formal occasions. Go bright this season with your accessories and its time to show off your glittering side with those pretty long chains and earrings. You could opt for floral scarves and stoles that wrap warmth around your neck. If casual is your calling, then make sure you get bright tops and kurtis to blend in the festive spirit. 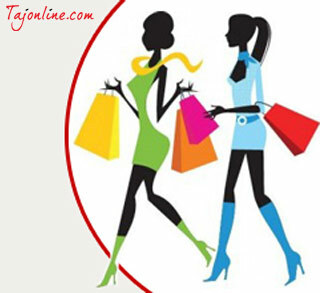 This winter sport the hottest look as you shop on tajonline.com . And if your winters aren’t as cold as you thought, we have the coolest collection for you from kurtis and sarees to stoles , trendy handbags and accessories. ← Thoughtful gifts to kick start the New Year !